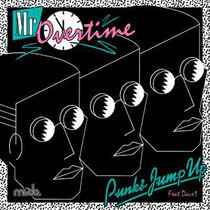 Punks Jump Up present their new single ‘Mr Overtime’, released on Moda Music on April 30th. The track is a notoriously catchy, uplifting and danceable ode to paranoia, nighttime deviance and the foggy notion of slightly losing grip on reality. Featured vocalist is Dave1 of Chromeo fame. Dave1 heard the demo, declared the song "dope" and managed to get a moment away from Chromeo's latest world tour to lend his voice to the song. First up on the remixes is Mickey from Brussels who delivers big stabby synth chords, a driving ‘80s disco bassline and a vibe that spells summer. This remix was featured on one of Magician's mix tapes and created a storm online. LA/Vancouver act Oliver, most lately famous for their ‘Dirty Talk’ EP on Kitsune and countless great remixes, bring a heavy touch to the original but without losing the melodies. Gigamesh brings a driving arpeggio bassline with a beat and all the extra trimmings that should make his remix blow up in any club at any given time. Also on the package is a Punks Jump Up Club Mix, giving the original a heavy disco work out! 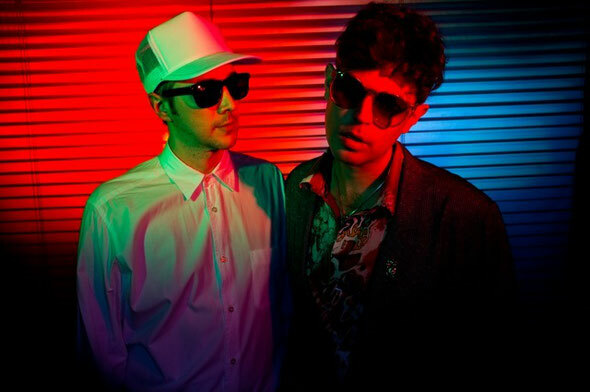 Londoner Joe Attard and Swede David Andersson are Punks Jump Up and during the last four years they have released disco tracks like ‘Blockhead’, ‘Get Down (Special CCCrash Mixxx)’ and ‘Dance To Our Disco’ on the Parisian label Kitsune and ‘Chimes Pt 1’ on the kleinTanz label. In addition to their own releases they have also done official remixes of everyone from Miike Snow, Lykke Li, Gossip, Robyn, Ladyhawke, Crystal Castles, Chromeo, Tiga to Joakim, Oliver, Ladytron, Yelle, In Flagranti, Housse De Racket, Supermen Lovers and Peter Bjorn & John.